All major Atlanta paint companies provide various color samples and recommended color combinations. If you want a new up-to-date look using the latest most popular trends, they know the latest and most popular color shades and combinations. You may want to consider a professional color coordinator. If you don’t know one, you can do an online search, and may be surprised to find there are many available, and at competitive pricing (as low as $75 for 1 hour on site visit). 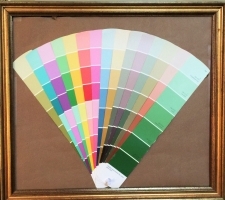 Many Atlanta paint companies have their own in house color coordinators. For example, Sherwin Williams will provide one of their Design Product Specialists for a 1 hour on site visit for $100. Many of our customers have been very pleased with this Sherwin Williams service. Another good source for painting ideas to view the latest most popular 2015 and 2016 exterior and interior room colors is to google: “homedesign.pictures”. Most painting contractors, Earthly Matters Painting included, are hesitant to recommend paint colors. The color choice is yours . . . Earthly Matters will do a quality job applying the paint you select. Don’t be intimidated by the process of painting your home. Do not hesitate to ask others for help, advice, and painting ideas. There are many Atlanta painting companies, so spend a little extra time selecting a painting contractor that has experience and a documented history of quality performance and customer service. 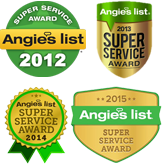 We at Earthly Matters Painting are proud of our reputation, and we look forward to a chance to be of service to you and your home.